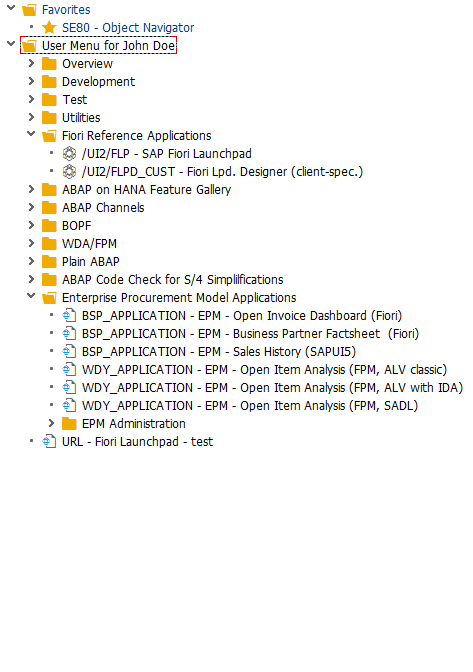 SAP AS ABAP 7.50 Dev Edition – Unofficial Install Guide by Taryck Bensiali. Note: Do not use ./install.sh -h <own hostname>– This allows you to specify your own hostname to be used by the SAP system. However, it is intended for advanced users only. Keep the default name for now. If you have already a SAP GUI installation you can connect to your sytem. If not go ahead now with the client installation. See the SAP GUI space in SAP Community SAP GUI | SCN for more information. With the user npladm you can start and stop the server using the terminal commands startsap and stopsap respectively or the newer sap control commands. The VirtualBox VM will likely be assigned the IP address 10.0.2.15 (because of the NAT network type). Your local WINDOWS cannot see that IP. Instead it will communicate to the VirtualBox VM through port-forwarding using 127.0.0.1 (your windows local host). Go to the ABAP Tools page for instructions. NOTE: I have not tested this – use at own risk. The system has been set up in a way that allows you to import and export ABAP objects as transport of copies. For security reasons we removed the rfc connection and user tmsadm. See TMS Documentation to complete the configuration. This section describes an export/import scenario. In transaction SE01 choose Create (F6). Mark Transport of Copies and choose Enter. As transport target enter DMY and choose Save. For the file transfer you can use sFTP or SCP clients like WinSCP with user root and the private key file of your backend instance (see Connecting to Your Backend on OS Level) or you can directly import the existing PuTTY connection profile. For the file transfer you can use sFTP or SCP clients like WinSCP (see above). chown npladm:sapsys <file>), otherwise the import will fail. In transaction STMS open the Import Overview (F5) and double click on NPL. Use the F4 help to select your transport request. Choose Enter and answer the question if you want to attach the request to the NPL import queue with yes. Mark the request in the import queue and select Ctrl+F11 (Import Request). In the popup select for Execution “Synchronous” (for smaller request) and mark all import options. Choose Enter and Yes to import your request. Note: In general, you should develop using DEVELOPER or BWDEVELOPER (for BI content). SAP* is only for admin purposes, eg renewing the license. Thank you for making this available! I actually have Developer 7.50 installed, but I think this question is generic enough. I’m trying to get some practice with LSMW, which I can access via the SAP* or DEVELOPER role. I wanted to look at the actual tcode for creating a Customer so I could view the field names, structure, etc of the customer object, but when I enter tCode XD01 or FD01, the transaction is not found. Are these tCodes included in the Developer edition? I apologize for my newbie-ness. no, only NetWeaver transactions are included. Sorry, but just to save you a wild goose chase. I tested the import of a transport and can confirm that it works in the described way. I had some problems with the transport configuration, but they could be solver after some help from the community. I installed the ABAP 7.51 trial version – when I was trying out writeDraftPersistence – I got exception ( ST22 activation error CL_SADL_DRAFT_EXSPOURE) even for the sample code provided in SAP. Another issue I found was in BOPF validations – when I created validations I could not find Trigger to enable before save below Triggers heading – It is empty. Sorry for the delay, but this is not a trial-specific issue. If I were you, I would try the usual ABAP forum: https://www.sap.com/community/topic/abap.html – choose Actions -> Ask a question, top right. Could SLT could be installed on this version ? Hi, sorry about the delay. No, but 750 has SLT installed. We are working on a 752 version, which will have SLT installed. I will blog about this as soon as it is available. 7.52 is now available and has SLT installed. I need to update the system to be able to consult the notes. the connection gives error. To see if they apply, I could not connect to SSL services, for example “https://github.com”. How do I enable the download of the Notes? How do I update the Cryptography to connect to SSL from my ABAP 7.52 trial server? I can’t access via DEVELOPER in tcode se11 tables like MARA, VBAK. I apologize for my newbie-ness. These tables are part of the Business Suite, ie ERP. The ABAP dev edition is intended to help people learn about ABAP syntax and dev tools, not provide a free ERP environment. We have succesfully installed the SAP 7.5 dev edition on VirtualBox today. When tried to login to SAP server the default password Appl1ance is not working for SAP* or any other existing users. We have downloaded the server installation files yesterday from the SAP developer site. Is the default password changed or this could be due some installation issue. Kindly help. Password for 7.52 is Down1oad (the “L” is a “1”). Hello Julie. Thanks for your work! I don’t know if this question is for you. If not, please tell me. I have a doubt according to the license. Apparently anyone can create an account and download and install this SAP AS Developer Edition to try abap programming. The question is if I create a virtual machine with this procedure. Can I distribute it to others? Or this is forbiden and those others must do the work again (download and create the VM) by their own? I deleted the old license with sap* in client 000 with SAP 7.51 SP02 and installed the new license for NPL. It is successfully installed with transaction slicense and valid. The developer user cannot modify any abaps after the installation of the new license in client 001. If I use the developer key 12222845243181034647 the system tells me that the key is not valid. I am not quite sure what you mean by “abaps”. If you mean: development objects delivered by SAP, no I have tested this; it appears to be forbidden with the developer user. If you mean ERP objects (eg MATNR), then no, these are not delivered with the dev edition. The purpose of the dev edition is to provide an environment for those who want to learn the ABAP language, not a free productive system. Can you copy an ABAP object to the customer namespace (Z*), then modify it? What is your use case? Wow, your answer is faster than the flash. In fact, I created a ztest abap with se38 (with DEVELOPER in client 001) to test the ABAP language as you wrote. Ztest is within the customer name space. “Wrong key, Would you like to try again?”. All is correct, the Hardware key is correct, the system name is NPL and the validity is ok April 08th, 2019. I downloaded the license for the Sybase database. I installed today and I am using DEVELOPER & Appl1ance but I unable to login. Please let me know what will be reason for this. My SAP Processes are running successfully. which Version? PW for 752 is Down1oad (the L is s 1). This is stated in the 752 Newbies’ Guide.